Whether it is for corporate executives, resident families or travelers, we always have best reputation for being reliable, efficient and elegant transportation service provider. Visit your loved ones at Mayo Clinic or help them get there with the best black car service in town. 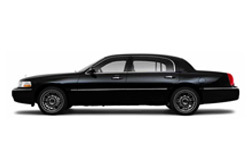 Get from A to B riding in the superb comfort and luxury of your favorite black car service. Your health comes first: our vehicles are impeccably clean, safe and smoke-free for your advantage. Whenever you need us, we'll be there. Trust our 24/7 Online Car Reservation System to get your ride, every time. Minneapolis Car Service locally owned and Minneapolis based Car Service provider since past six years. All of our vehicles are well maintained and fully licensed and insured. We offer 24 hours a day, 7 days a week service. Minneapolis Car Service provides a wide variety of Car services for Point-to-point Rides, Airport Transfers, Ride to Mayo Clinic to Rochester MN, for Sporting Events, Shopping Drives, National Parks, Pickup & Drop at Minnesota Zoo, Treasure Island and Dinner & Dates from Minneapolis - Saint Paul Twin Cities and the suburban areas. 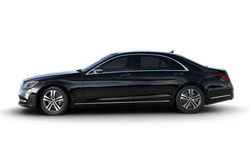 We also offer a complete range of car services including Town Car Sedans, Mercedes s550, Passenger Vans and SUVs at very competitive rates. We at Minneapolis Car Service, provide all types of rides from Minneapolis MN for Point-to-Point Rides, Airport Transfers, ride to Mayo Clinic Rochester, Sporting Events, Dinner & Dates with our fleet of Town Cars, Sedan, Passenger Van and SUVs. Minneapolis Car Service Service is a company and we belive in making our clients feel comfortable, safe and satisfied while they travel on our fleets. Our cars are well maintained, Smoke-Free and Clean Vehicles with GPS. Our drivers are certified, courteous and well experienced professionals with knowledge of regional routes to take you to your destination safe and sound. When luxury meets comfort, and your transportation expectations fall into place is when you know you are riding in Mercedes s550. Perfect for a number of outings. 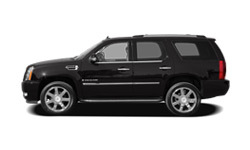 Whether you are traveling with a larger party or want some extra space for a few of you, Cadillac Escalade SUV offers pure comfort you'll absolutely love. Try it! Want to stay super comfortable with your traveling party and still get to your location in style? 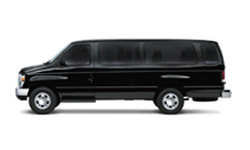 Ford Passenger Van is the answer to your black car booking! I was worried about getting a ride to Mayo Clinic from Bloomington and found them on Google, phoned them were in-time. Journey was quite comfortable. Uber charged me thickly and car was rotten like Pop´s. Now I prefer this guys. Cheap and at my door sharp.They are on my Speed-Dial now. Best Airport Car Service, pretty helpful driver with our luggages at airport.